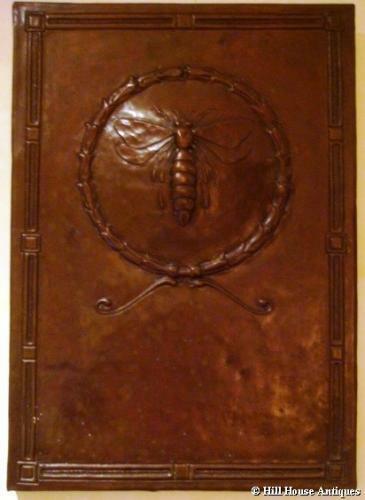 Rare and unusual rectangular copper Arts & Crafts plaque with bee design within wreath, by the Keswick School of Industrial Arts, c1900. Stamped with the Keswick mark in several places. Very well patinated. Approx 13" wide by 18.5" high.